Choice Checking allows you to determine how you want to manage your account and choose the features that work for you. To establish a Choice Checking Account, you must be a member of the credit union. Simply visit your local branch and a Member Service Specialist will assist you in opening your Choice Checking Account. Our Choice Checking Account is also available to Non-Profit organizations. You must be a member of the credit union, provide Non-Profit status from the IRS and complete a Non-Profit Account Application. The Membership Fee is waived for Non-Profit Account Application. 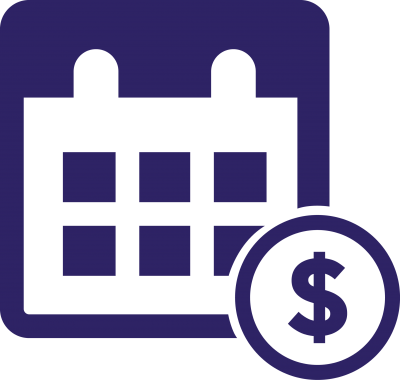 1This fee may be reduced by doing the following during the Monthly Qualification Cycle: $1.00 reduction in fee for being enrolled in eStatements; and $0.20 reduction in fee for each posted and settled debit card purchase; and $1.00 reduction in fee for having at least one (1) posted and settled direct deposit or automatic payment (ACH). The total reduction may not exceed $5 per Monthly Qualification Cycle. Qualifying transactions must post to and settle an account during Monthly Qualification Cycle. Transactions may take one or more business days from the date the transaction was made to post to and settle an account. ATM transactions do not count toward qualifying debit card transactions. "Monthly Qualification Cycle" means a period beginning one day prior to the first day of the current statement cycle through one day prior to the close of the current statement cycle, subject to weekends and holidays.